With its powerful, 1/2 hp motor and dual blowers, the Curtron E-CFD-60-1 Personnel Series 60" wide air curtain is specifically designed for front door customer and staff entrances at larger facilities like supermarkets, distribution centers, warehouses, and processing plants. 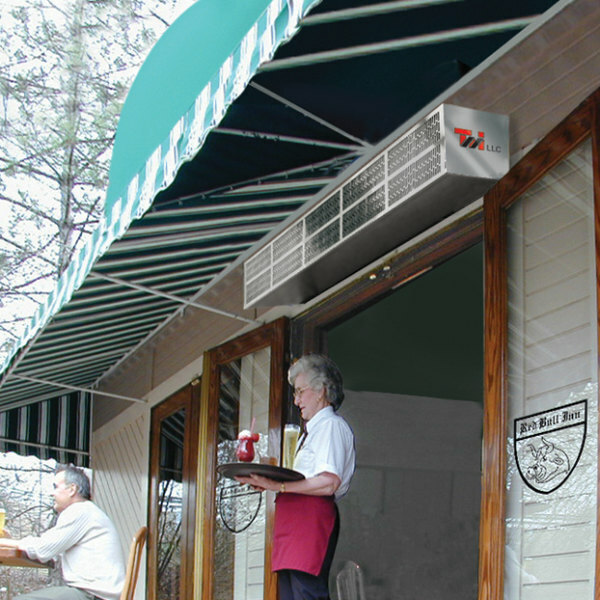 Its housing, grill, and air nozzle are made of aluminum and the motor is totally enclosed, making the Personnel Series air curtain ideal for both indoor and outdoor use. 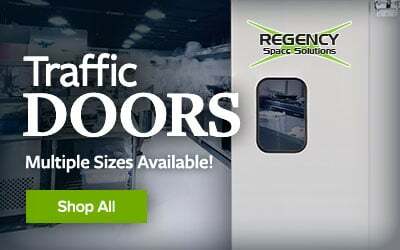 Besides keeping flying insects, dust, and pollutants out of your facility, the 60" air curtain can also stop winds up to 25 mph, helping you maintain a consistent internal temperature even with your door open. The air curtain also helps circulate air inside your establishment, keeping the flow of hot and cold air steady, which lowers your overall energy consumption and reduces utility bills. The air curtains motor has a low noise output, so it won't bother your customers. 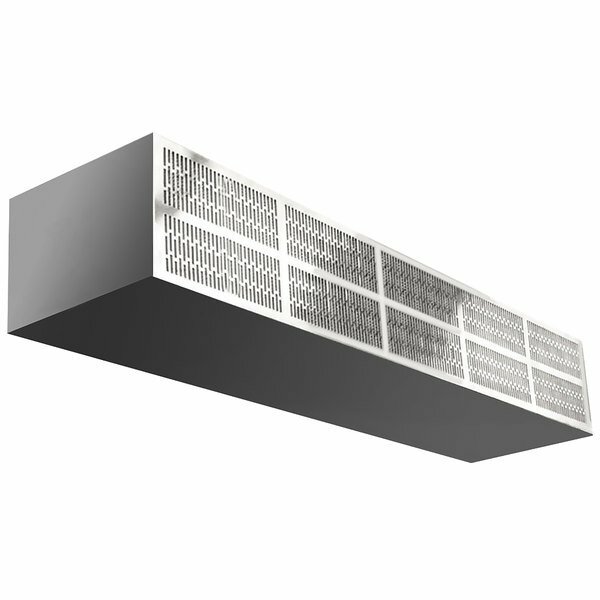 The E-CFD-60-1 Personnel Series 60" air curtain requires a 120V electrical connection.